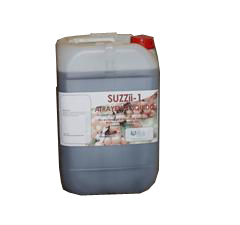 SUZZII LIQUID ATTRACTANT is a new liquid food attractant enriched with volatiles similar to those of the fruits hosting Drosophila suzukii, therefore its great level of attraction is very specific for this insect. 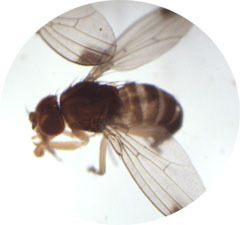 Its durability is distinctly higher, due to the lower degradation of this attractant in the field, than that of other products used for this pest. (around 45-50 days with the HEMITRAP® flytrap). 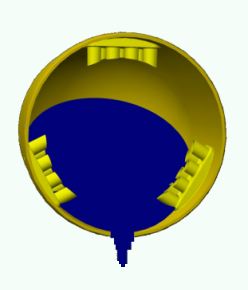 Drums of 25 litres (code 1113) and 5 litres (code 1132). Recommended for use in the HEMITRAP® 2180-S , specially designed for liquid attractants, and with a high selectivity with regard Drosophila suzukii, thus preserving fauna beneficial to crops. For monitoring: place 4-10 traps per hectare. 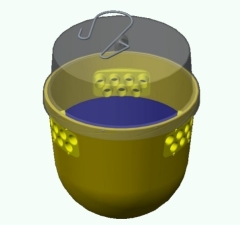 For mass trapping: in homogeneous crops, with average population densities and relatively large continuous surfaces (several hectares) it is recommended to place 80 traps per hectare. In other conditions, contact Probodelt. For mass trapping: 600ml is the maximum volume that the flytrap can hold without overflowing through the side tubes. 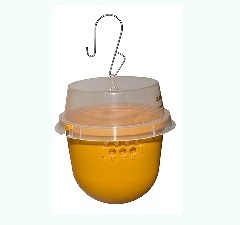 For monitoring: 250ml is the optimal amount of attractant to be able to carry out the count of flies captured, pouring it easily into another container without losing liquid through the side tubes. Hang the fly trap, which will have been completely filled with SUZZII LIQUID ATTRACTANT previously, at a height equal to the average height of the crop being treated. 45-50 days (depending on temperature, humidity and wind.) It is advised to periodically review some fly traps and when one is detected with less than 1cm of liquid, proceed to fill all fly traps. Avoid excessive contact with eyes or skin.